Workplace injuries and accidents occur across all occupational sectors. By implementing safe workplace practices that address workplace hazards and risks, a safe and productive working environment can be ensured that can enhance business growth and success. However, in some organizations, workers have only basic knowledge of workplace hazard and are limited in their ability to identify risks and adopt appropriate safety control measures. Safety training provided to employees of these organizations is one way of preventing workplace injuries and illnesses and ensuring a safer workplace. Providing effective safety training to employees, both new and old, can help them identify and be aware of workplace hazards and enable them to perform their jobs safely and efficiently. Over the last decade, across varied occupational sectors in Riyadh, the capital city of Saudi Arabia, there has been significant improvements in the implementation of workplace safety measures. To ensure a safe working environment and to be in compliance with the legal requirements, organizations in Riyadh have adopted appropriate safety control measures which include providing safety training for employees, ensuring the use of personal protective equipment or clothing suited for the job, etc. By creating awareness and adopting adequate and efficient safe working practices through regular safety training, organizations in Riyadh are able to ensure healthy working conditions for its employees. Lack of safety training is one of the main contributors of work related incidents. By employing specialists in Safety training in Riyadh, Saudi Arabia and ensuring proper training in workplace hazards and risks, business organizations can reduce occupational risk of injury and accidents, ensure a safe working environment for all involved and protect the biggest asset of the company – its workforce. We are one of the leading service providers of Occupational Safety and Health Consultancy and Training Services in Saudi Arabia and GCC. Based in Riyadh, we deliver a wide range of NEBOSH and IOSH accredited Health and Safety training courses across diverse industrial sectors including construction, engineering, manufacturing, retail and oil and gas industries. Our safety training programs are delivered by industry-experienced qualified training instructors and can be customized to best complement your organizational safety requirements to help support the workplace safety culture. 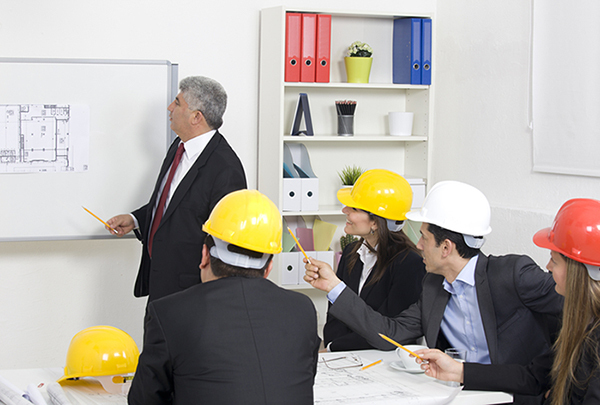 Make safety training a key part of your organization’s safety culture today. Get in touch with us today at SLC in Riyadh, Saudi Arabia and learn more on how we can help meet your organizational training requirements.